Glen Pannell is a gay man who has a striking resemblance to our Vice President, Mike Pence. 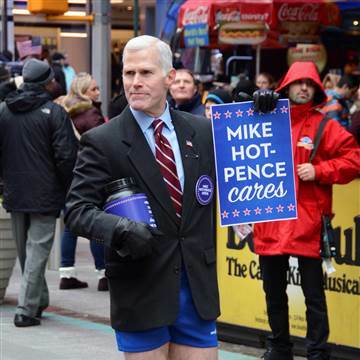 Pence has a long history or anti-LGBTQ policies so Pannell decided to use his appearance to raise awareness and money for progressive causes. Back in 1981 at a City Council hearing in New York City, a fiery debate was occurring on the gay rights bill. Pat Burns, Vice President for the Patrolmen’s Benevolent Association, stated that he knew of no gay cops and argued against the bill. In June, New York City named Greenwich Village corner Sgt. Charles H. Cochrane Way. The location is just a few feet away from St. Joseph’s Catholic Church. This church is where Sgt. Cochrane and other LGBTQ police officers met and formed the Gay Officers Action League or GOAL. Sgt. Cochrane died of cancer in 2008 at age 64. Photos of Goldin with her signature sign have been popular on Tumblr and other social media sites. 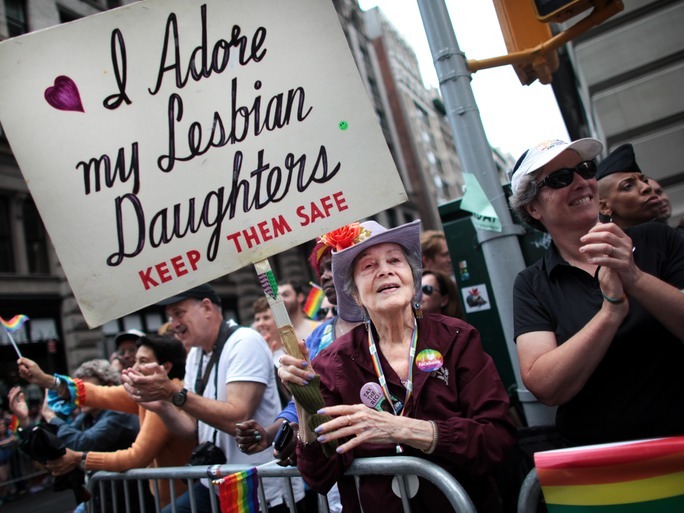 She is a shining example of parental support for LGBTQ people. Goldin has even contacted other mothers on behalf of their LGBTQ children. In her will, Arthur left the center $300,000 and in February 2017 a new 18 bed shelter will open. 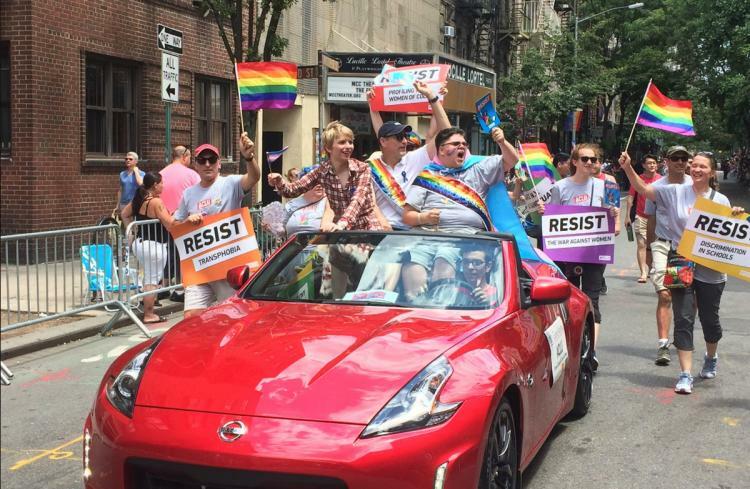 Arthur was a long-time supporter of the LGBTQ community and continues to be after her death. Bea – thank you for being a friend!